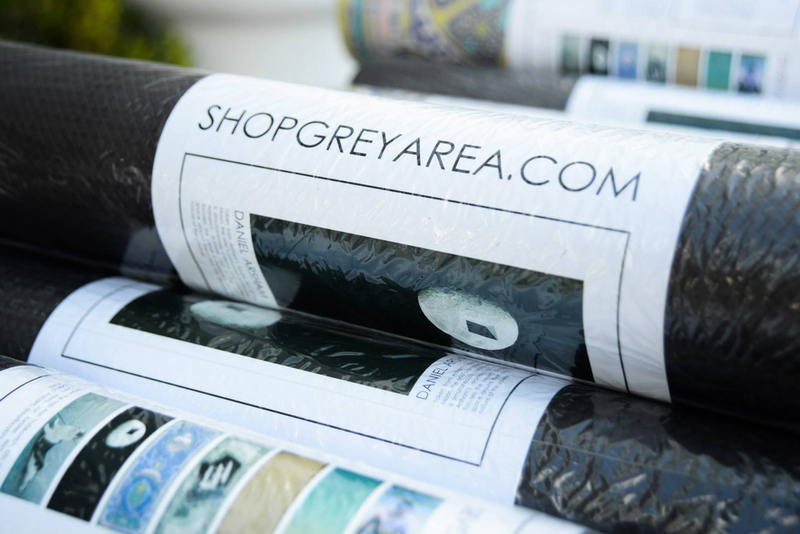 Grey Area launches GREY AREA YOGA in partnership with Morgans Hotel Group and lululemon athletica at Art Basel Miami Beach 2013. 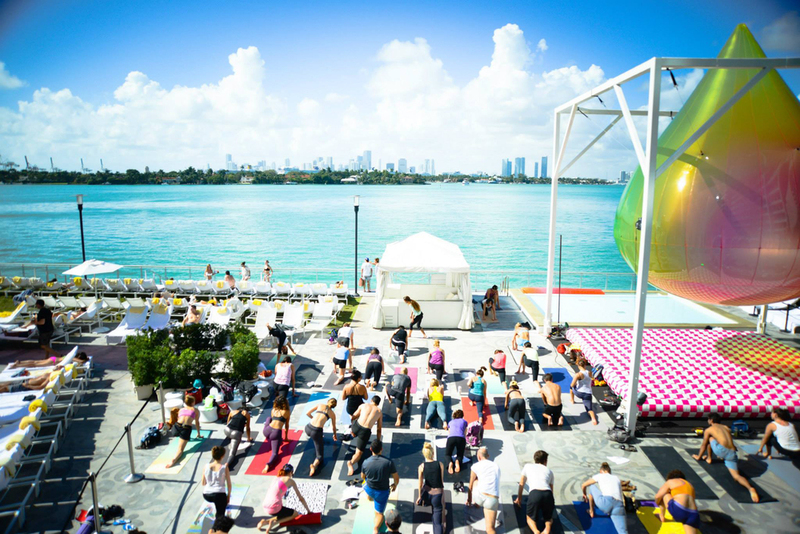 With free yoga classes morning and evening at Delano, Shore Club and Mondrian, this event highlights Grey Area’s first collection of artist-designed yoga mats, originally launched 29 November 2013 on the website. On Saturday December 8th, Grey Area coordinates with FriendsWithYou to host a large-scale, public event along side the pool at Mondrian and FriendsWithYou’s site-specific installation. The seven unique mats range from spiritual to subversive, printed with work by Daniel Arsham, Eric Cahan, Wim Delvoye, Andrew Kuo (aka @earlboykins), Jon Kessler and Kon Trubkovich, as well as Grey Area’s own in-house design. This first collection is inspired by Sahasrara, the crown chakra, representing the physical manifestation of the self; the purple backing on each mat harkens back to the traditional violet of the crown chakra.